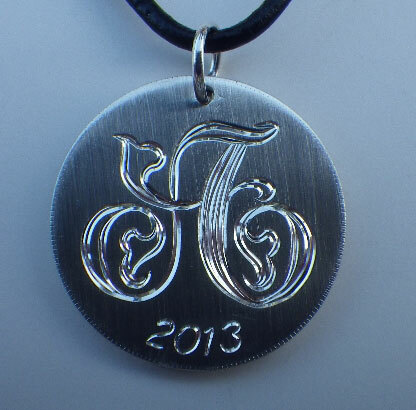 Description: This pendant is approx 1″ diameter and made from 14 gauge sterling silver. The nice looking single initial monogram is hand engraved with ribbon style engraving. The year is also hand engraved under the monogram. A subtle border is hand-crafted around the silver pendant.